Intrepid Geophysics develops software and provides services for potential field geophysics. It has carved out a strong reputation in geophysical processing and interpretation, and software development. 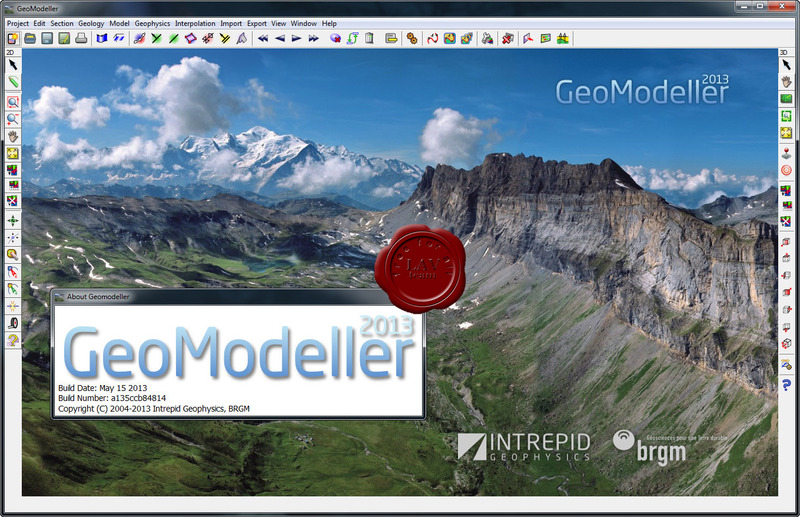 GeoModeller is a software tool for 3D geological modelling. For building complex, steady state, 3D geology models - and performing forward & inverse geophysical modelling directly from solid 3D geology. Comprising a Geological Editor, Drill hole & grids/meshes management, Forward & inverse geophysics modules to manage and interpret your entire exploration, geothermal or engineering project. Implicitly models 3D surfaces constrained by primary geological data (contacts & orientation data together) and/or drill hole intercepts. Adheres to rule-based modelling of fault networks & relationships of the pile. Fully supports drill holes & attributed data. Offers a range of interpolation methods including domain kriging (to mimic geology formation shape avoiding un-folding prior to kriging). 3D viewer and slicing tools. 2D profile modelling of gravity and magnetics and synthetic seismographs. 3D forward modelling of gravity, magnetics (including remanence), full tensor gradiometry (FTG). 3D forward computation of temperature, vertical heat flow & geothermal gradient. 3D litho-constrained stochastic geophysical inversion of gravity and magnetics (separately or jointly). Driven by comprehensive GUIs & wizards. 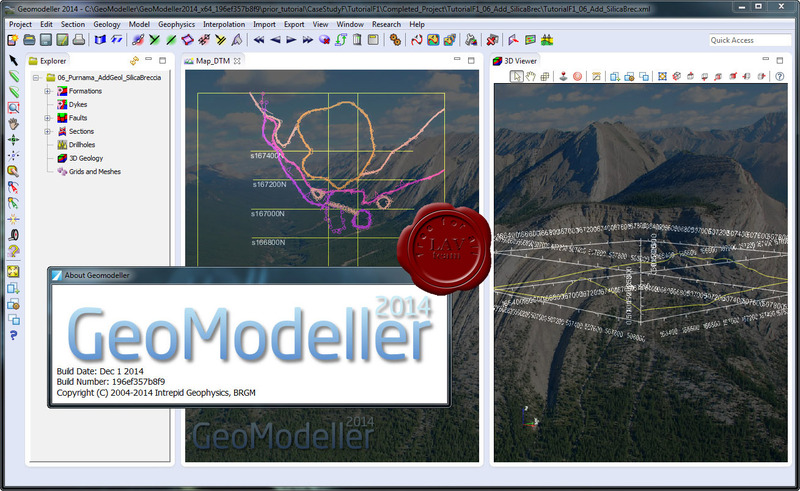 Modelling can commence from a GeoModeller model, or an imported lithology voxet. Handles variable rock properties through look-up tables (probablity distribution functions) or custom voxets. Browses to reference geophysical grids. Comprehensive post-inversion products including quantified uncertainty of geology-geometry & rock properties. Whats new in 2014 version is here.